Dr. Wen-Tso Liu is the Arthur C. Nauman Endowed Professor of Environmental Engineering and Science program at the Department of Civil and Environmental Engineering at the University of Illinois at Urbana-Champaign. Dr. Liu’s research focuses on water microbiome that describes the ecological roles and societal benefits of microbes in watershed, drinking water systems, and wastewater treatment and reclamation systems. Working with his colleagues and students, his major contributions in water microbiome can be exemplified by the success in isolating, identifying, and characterizing key organisms in enhanced biological phosphorus removal processes (e.g., polyphosphate and glycogen accumulating organisms such asTetrasphaera elongatae and Candidatus Defluviicoccus tetraformis); the invention of a molecular tool known as T-RFLP (terminal restriction fragment length polymorphism) that could rapidly profile microbial communities prior to the advance in amplicon sequencing technologies; and the discovery of microbial dark matters in methanogenic treatment systems, including the identification of a novel methyl-reducing methanogen (Candidatus Methanofastidiosum methylthiophilus) previously known as WSA2 or Arc I. To actively bridge microbial ecology with engineering practice, his recent studies explore the use of mass balance concept with 16S amplicon sequencing to provide an ecological view on the digestion efficiency of anaerobic digesters at global scale and integrate ecological theory with disinfectant decay and microbial growth kinetics models to predict bacteria (re)growth in indoor plumbing. Dr. Liu also actively participates in ISME and IWA events. He has served as a convener for ISME meetings a few times and is a member of ISME J Editorial Board since 2006. He has helped in organizing and chairing sessions as a member of Scientific Committee at several IWA specialized conferences such as Microbial Ecology and Water Engineering [MEWE] conference, Leading Edge Conference on Water and Wastewater Technologies, and Biofilms. He is also a member and a past secretary of the MEWE Management Committee. 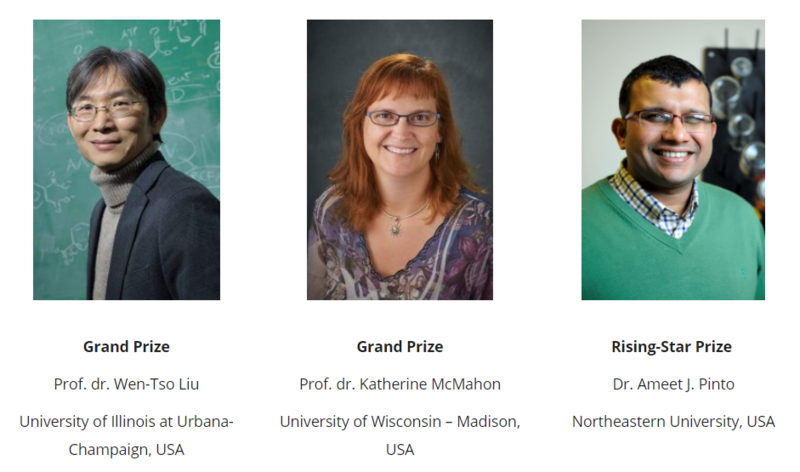 Professor Katherine (Trina) McMahon is a Vilas Distinguished Achievement Professor at the University of Wisconsin – Madison, holding a split appointment in the Department of Civil and Environmental Engineering, and in the Department of Bacteriology. She earned her BS and MS from the University of Illinois at Urbana-Champaign (1995 and 1997, respectively), where she worked with Professor Lutgarde Raskin (now at the University of Michigan Ann Arbor) on anaerobic digester microbial ecology. She earned her PhD in Environmental Engineering at the University of California at Berkeley in 2002, working with Professors David Jenkins and Jay Keasling on the microbial ecology of biological phosphorus removal in activated sludge. Upon moving to UW-Madison in 2003, she initiated a new line of research on freshwater lake microbial ecology, but continues to work on biological wastewater treatment as well. In both systems, Trina applies an Eco-Systems Biology approach to studying microbe-microbe interactions, community assembly, ecophysiology, and ecosystem function. She strives to link genes to ecosystems using ‘omics and post-‘omics tools including metagenomes, metatranscriptomics, metabolomics, and modeling both at the sub-cellular level and the community scale. In addition to her research on aquatic microbiomes broadly defined, Trina is passionate about pre-faculty and junior faculty professional development around teaching and learning. She is co-faculty Director of the Delta Program on the UW-Madison campus, which provide innovative and rigorous programming for graduate students and postdocs. She was awarded the ARCADIS/AEESP Frontier in Research Award by the Association of Environmental Engineering and Science Professors in 2017 and was elected as a Fellow in the American Academy of Microbiology in 2018. Trina is a Senior Editor for the ASM Journal mSphere. She served as MEWE Secretary (2009-2013) and continues to serve on the Management Committee (2005-current). Dr. Ameet J. Pinto is an Assistant Professor in the Department of Civil and Environmental Engineering at Northeastern University in Boston, USA. He received his B.S. in Chemical Engineering and M.S. in Environmental Engineering from the University of Mumbai and University of Alaska Fairbanks, respectively. He completed his PhD under the supervision of Professor Nancy Love at Virginia Tech in 2009 and then worked as a post-doctoral researcher at the University of Michigan with Professor Lutgarde Raskin. He was a Lecturer and then Senior Lecturer at the University of Glasgow from 2012 to 2015, before joining Northeastern University in 2016. His research focuses on microbial ecosystems at the interface of infrastructure and public and environmental health. Dr. Pinto’s research has shown that the drinking water microbiome conforms to reproducible ecological patterns that may allow for its spatial-temporal predictions and that the microbial community at the tap may be controlled through the appropriate management of biofilters at the drinking water treatment plant. He was awarded the prestigious National Science Foundation CAREER award in 2018 to build on these findings to develop a spatial-temporal predictive framework for the drinking water microbiome. His work has also expanded interest in the drinking water microbiome beyond its traditional focus of pathogenic microorganisms, to include novel microbes of significant engineering and biological significance (e.g., complete ammonia oxidizing bacteria). His current research focusses on utilizing genome resolved metagenomics to understand how microbial communities respond to the selective pressures imparted by different water treatment processes and how these selective pressures may be managed to shape the drinking water microbiome to be safe and healthy. The winners will be awarded during the upcoming IWA World Water Congress & Exhibition 2018, to be held 16-21 September, 2018, in Tokyo, where they will have the opportunity to address all delegates. They will also be invited to speak at the ISME Congress: 17th International Symposium on Microbial Ecology that will take place 12-17 August 2018, in Leipzig, Germany. This award is biennially presented. 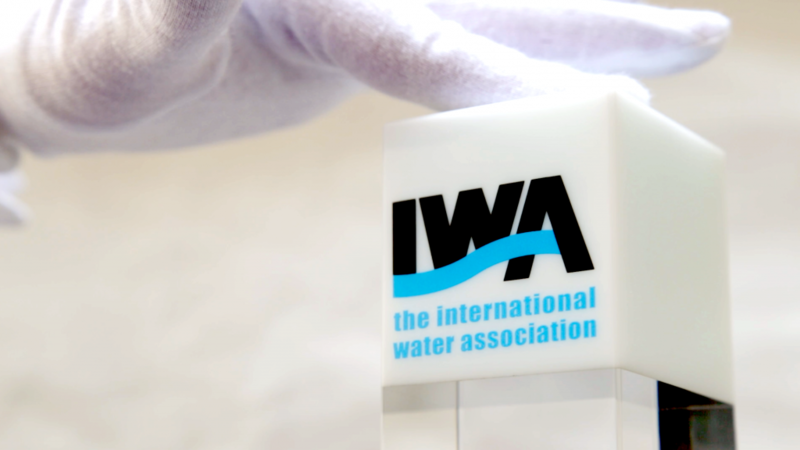 All IWA or ISME members are entitled to nominate candidates. Candidates can be senior leaders in the field but can also be young rising stars. Nominated candidates must be members of either IWA or ISME (or both). The Award’s review and evaluation committee was composed of leading experts from IWA and ISME: Tom Curtis, Glen Daigger, Kirsten Küsel, Colin Murrell, Per H. Nielsen and Michael Wagner.